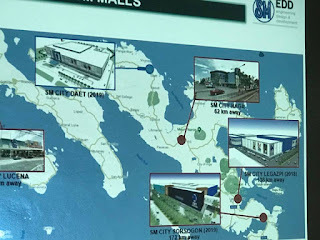 DAET, Camarines Norte (Bicol Standard) – SM City Daet is expected to open its doors in 2019, according to the proposal presentation at the Sangguniang Bayan Session Hall in this town earlier this week. The proposed site for the project is along Vinzons Avenue, a major thoroughfare on the north. Adjacent to the west side of the site is the United Daet Coliseum while residential structures can be found on the south side. Spanning a land area of 48,590.00 sq. m., SM City Daet will have a ground level, level 2, level 3, and a roof deck level. There will also be 640 parking slots available, the presentation revealed. Construction will commence later this year and will end on December 2019.